By being allocated the premises in 7 Danijela Ozme Street the Central Election Commission of Bosnia and Herzegovina also received unused and unorganized space in the annex to the building. Aimed at determining the ultimate purpose of that space the BiH Central Election Commission had at its session held on December 19, 2013 passed a Decision on establishment of the Center for Education of the Central Election Commission of Bosnia and Herzegovina (“Official Gazette of BiH”, no. 103/13). In the period 2014-2017 activities were carried out on the reconstruction and adaptation of the space for accommodation of the Center, using the budget funds and the donation of the Embassy of the Republic of Turkey. According to the Decision, the Center for Education is established aimed at education of the election management bodies and all stakeholders in the area of elections and political party financing at the national, regional and international level. The Center for Education opened its doors on October 9, 2017. First training in the Center for Education held in the period October 9-27, 2017 was realized within the Council of Europe’s project of support to the activities of the Central Election Commission of BiH covering “LEAD education of the leadership and development of training program for members of the BiH Central Election Commission, managerial staff and relevant training staff”, which besides the BiH Central Election Commission was attended by 50 presidents of the election commissions of basic constituencies in BiH. Five-day training for representatives of the Central Election Commission of BiH is scheduled for November 2017 and it will be implemented by trainers from the India International Institute of Democracy and Election Management (IIIDEM). · holding of post-election conferences. 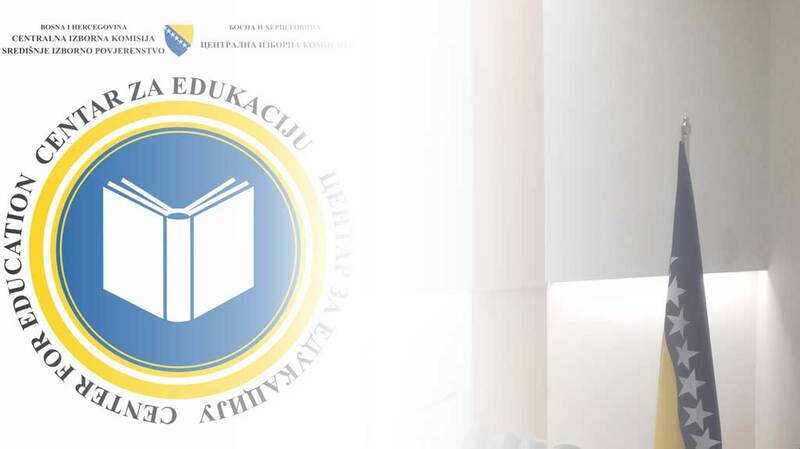 By establishing the Center for Education, the Central Election Commission of BiH has provided a permanent and adequate space to meet the legal obligation for continuous training of the EMBs’ members. We will strive to provide high quality and continuous training and professional development of all participants in the electoral process in BiH by organizing educational workshops, seminars and lectures to be delivered to the members of election administration, but also to the representatives of political subjects, the media and the NGOs, by renowned domestic and international election experts. The Center for Education has 110-seat conference room, video projection and sound equipment, simultaneous translation equipment, wireless internet access, cafeteria, and is suitable for organization of conferences, seminars, roundtables, workshops and lectures.